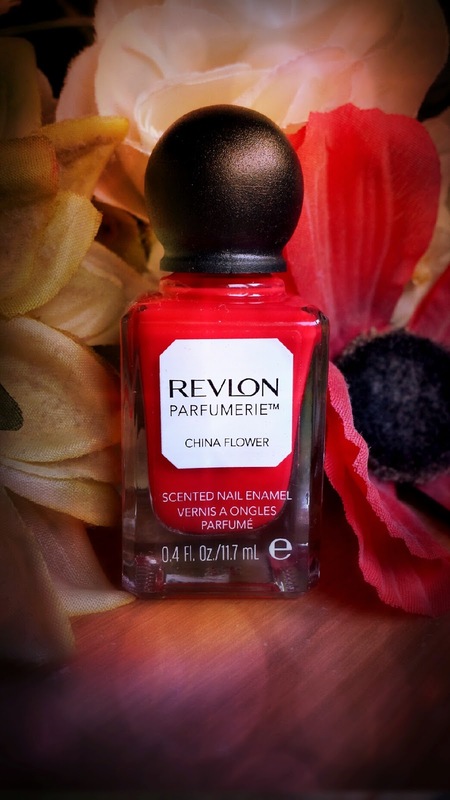 China Flower is a bright, classic red shade. This colour caught my eye because even though it is a classic red, there was that extra pop, adding a subtle difference that just made it stand out for me. The polish comes packaged in a perfume bottle shaped bottle (a bottle shaped like a bottle) that holds 11.7ml of product. The handle is spherical and black and easy to grip. As I explained in my Surf Spray review, the brush is quite thin. Also, because of the small, round handle, it seems to give the illusion of the brush being far longer. I was absolutely terrible at attempting to explain the difficulty in holding the brush last time, but I think that I may have it this time. When applying a nail polish, you use the polish up on one side of the brush and you see enough on the opposite side to finish the nail. You turn the brush around and use that polish too. However, the round handle on this brush for me makes it difficult to turn the brush easily. The surface area of the handle is too small to manoeuvre it properly. The solution is simple, really, just re-dip your brush instead. I kept telling myself that being annoyed about it was pointless, but now I think that the thing that annoys me about it is simply breaking out of what I usually do. I apply nail polish the way that I am used to, so having to alter the routine ever so slightly can cause a small irritation that takes a long time to work out and then even longer to put in to words on your blog. I hope that helps to clear up what I meant to explain with Surf Spray, too! I have to say though that after having used Surf Spray, I kind of had the gist of how to handle this handle, making it a lot easier. I think that after a couple of uses of this polish everything will be fine and this minor niggle will be redundant. Moving on from this, the formula of China Flower is the total opposite to Surf Spray. I am also ecstatic to tell you that this is also a one coater. Hoorah! The combination of a thin brush and a far thicker polish is actually really brilliant. With Surf Spray the watery-ness made it easy to pool up around the cuticles and the thin brush meant that you could be there for a long time. 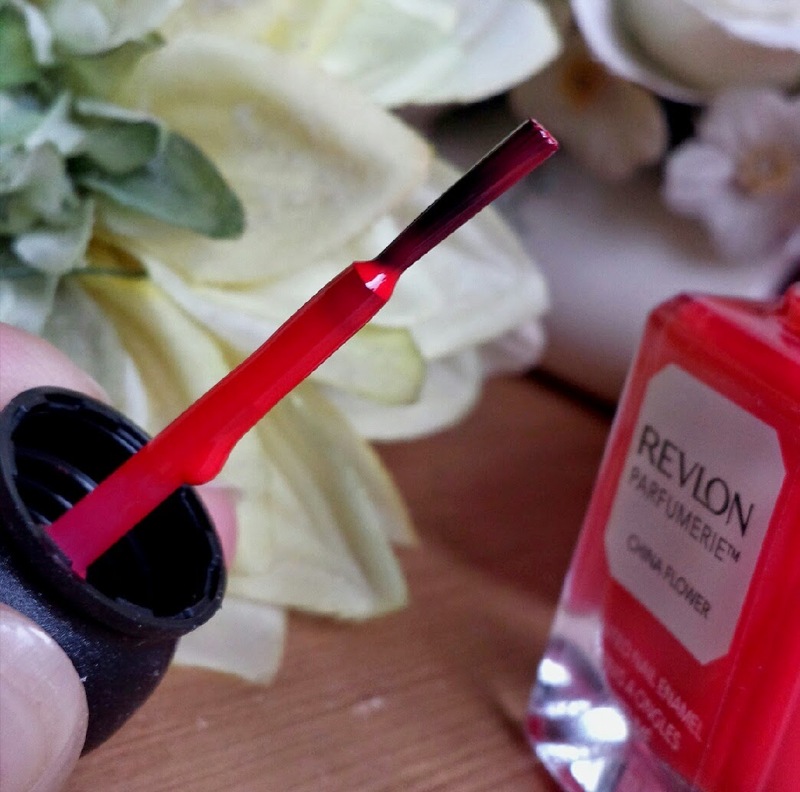 With China Flower, the thin brush allows you to apply the polish with smooth and perfect lines. There is no pooling, just super tidy polish. The brush feels like it was made for this type of formula. A perfectly applied one coater; it's like it was made just for busy women! In regards to the scent, I really enjoy it! It smells like a plum scented flower with a bit of spice to me, and it really is lovely. The best thing though? I received a comment on my Surf Spray post (after I complained about the inability to use a top coat because of the scent) explaining that the scent is still noticeable even with the use of a top coat. I can confirm that this is correct! 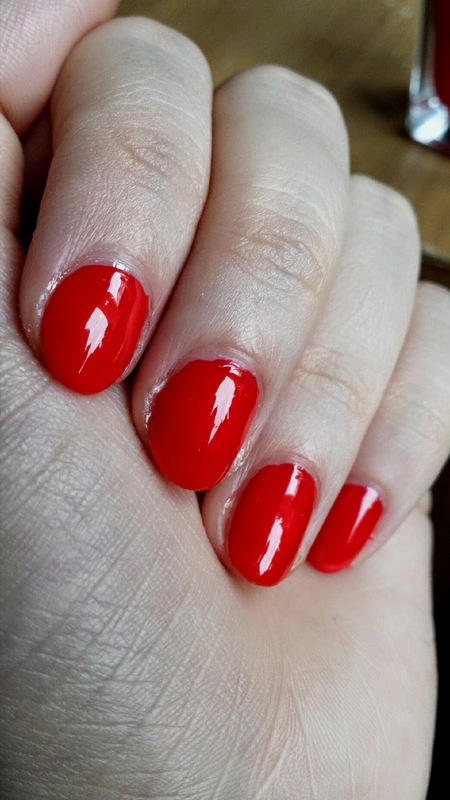 Can you imagine how happy I was to discover a beautiful red nail polish that applies cleanly and easily in one coat? Then with Seche Vite on top it dries in no time at all AND smells beautiful. Incase you can't tell from that last paragraph, I love this polish. I explained at the beginning of this post that a large majority of the things that I disliked were non-existent with China Flower. The only thing that still bugs me is that tiny handle. That's it. Everything else for me is the definition of a fantastic nail polish. Being a mother, I sincerely recommend this polish for super fast application that requires very little to no tidying up once dry. 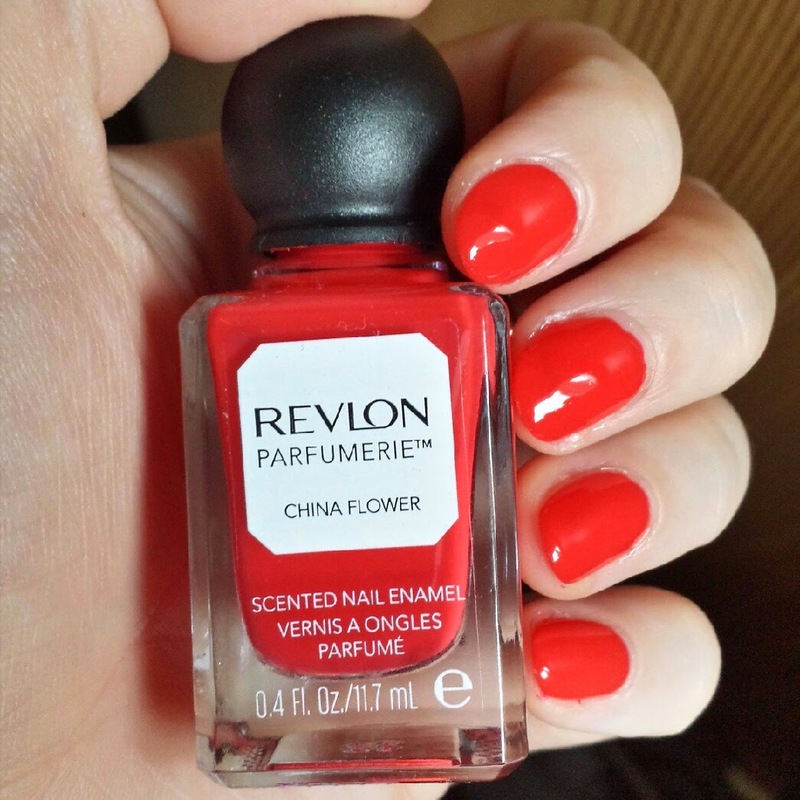 You can pick up a bottle of China Flower for £6.49 from Boots and Revlon. 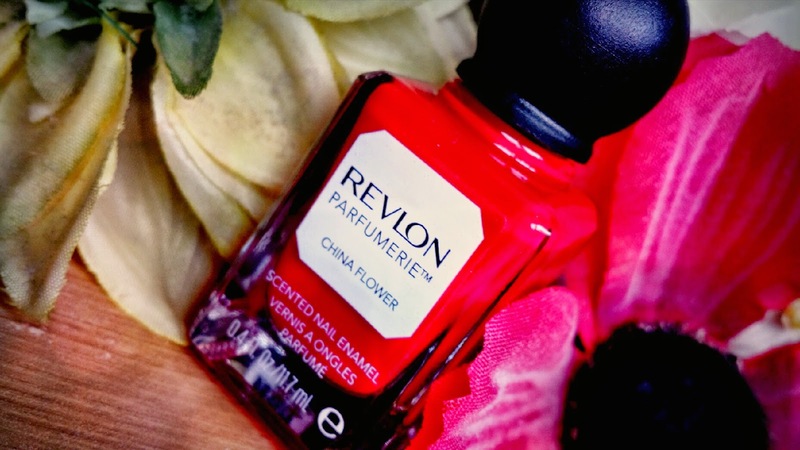 Have you tried any Revlon Parfumerie nail polishes? What is your favourite shade? Thank you for sharing the link! It seems like a beautiful story to read.